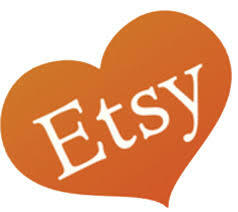 Etsy Craft Party is all about sparking creativity and letting those sparks fly. Make some creative messes and make them with friends! Join Etsy and Work-Shop for a fun filled night of yarn inspired activities including Rya weaving, God’s eye weaving, and Macrame. Expect inspiration a-go-go and learn from some of the top local Etsy makers and meet fellow creative folk, and enjoy some drinks and nibbles while you’re at it! Justine from Chase the Sun Creative as mentors on the night. Let your imagination run wild and create your own masterpiece (don’t forget to share your creations with #EtsyCraftParty)! Drinks and Nibbles on arrival! Inspiration and a willingness to craft your heart out! On Friday 17th of June, we’re inviting craft enthusiasts to come together and bask in the shared love of making. Whether you prefer to party with paper and get down with glitter, or if jam is more your jam and you can craft a mean cupcake. Are you looking to have a fun time with florals? Or do you have the know-how when it comes to nail art? Craft can take many forms and 2016 is all about letting your creative side shine.